Bicol University Tabaco Campus(BUTC) traces its humble beginnings to Bicol School of Fisheries (BSF) in Tabaco, Albay, as founded in 1949 by the virtue of Republic Act No. 412, to offer Secondary Fishery Education to the Bicol Region. On June 22, 1963 pursuant to Republic Act No. 3651, it became the Bicol College of Fisheries. However, the opening of collegiate courses were deffered due to financial constraints. On September 22, 1969 by virtue of Republic Act No. 522, the college was incorported with the first state university in the Bicol Region, the Bicol University. It then became the College of Fisheries of the newly instituted university. Consequently, the College started offering baccalaureate degree in Fisheries in addition to diploma courses. Consonant with the trilogy functions mandated to educational institutions of higher learning, the Bicol University College of Fisheries(BUCF) expanded its program in research and extension. To meet the challenges of this new mandate, a massive staff development program was vigorously pursued. The performance and potential shown by the college in the field of research, led to its subsequent identification as the Regional Agriculture, Forestry and Natural Resources, Research and Development Network. In 1981, one of the seven (7) Regional Institute of Fisheries Technology(RIFT) under the World Bank, 6th Educational Loan was established at Bicol University College of Fisheries. 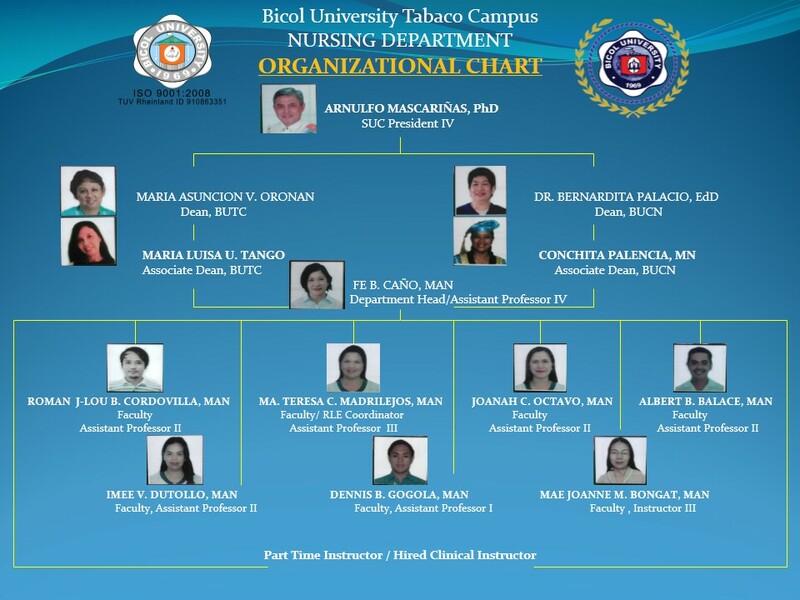 Responding to the request of the constituents of the First District of Albay to greater access to education, the Bicol University College of Fisheries(BUCF) became Bicol University Tabaco Campus(BUTC) on November 1994 by virtue of the Board of Regents Resolution No. 28, series of 1994, allowing the unit to offer courses aside from Fisheries. Therefore, while still servicing the field (Fisheries) it was originally established for, it is now committed to the multi-disciplinary development needs to the region. Community- Local Gov't and Academe Partnership in Coral Restoration: Does it work? Phytochemical Screening and Hypoglycemic Studies on the Leaf Extract of A. Muricata L.
International Association of Pioneering Professionals foe Services Inc.
University of eastern Philippines, Catarman, Northern Samar, Phil. The entire population, most especially those who were consuming those kinds of plants as their alternative modality, as well as those indigenous sectors of our society who cannot afford expensive medical treatment for diabetes and other related-diseases. Identification and packaging of different climate change adaptation strategies particularly related to climate responsive technology and value chain development. Fish cage operators/ fish farmers and LGUs in Lake Buhi and other inland bodies of water. Partido State University President and University Professor Dr. Raul G. Bradecina, is a loyal alumnus of BU Tabaco Campus having attended high school, college and graduate course in the BU College of Fisheries from 1982 until 2009. Dr Bradecina is a scholar, a scientist, a research and extension manager, an academic institution administrator, a resource and environment economist expert, an outstanding teacher and researcher, a development and institutional planner, and an advocate for poverty alleviation of marginalized fishing and upland communities through grassroots participation in resource governance, biodiversity conservation, sustainable ecotourism and coastal resource management. He is also a poet, a technical writer and book author and a scientific journal editor and reviewer of technical papers of varied fields. His research interests ranges from marine ecotoxicology, oceanography, aquaculture, limnology, crustacean taxonomy and ecology, biodiversity conservation, coastal resource and fisheries management, ecotourism, behavioral economics, resource and environmental economics, climate change adaptation in coastal communities, resettlement, biodiversity conservation and management, marine protected areas, contingent valuation of coastal ecosystem services, ex-ante and ex-post impact evaluation of R&D programs, project evaluation, and institutional and tourism planning. As a scholar, he was a consistent honor student graduating class valedictorian from BUTC high school and awarded various academic merit and scholarship awards in college and in graduate studies. He was awarded academic merit award as college scholar by UP Visayas as a graduate student in Master of Science in Ocean Science. He was awarded the prestigious and highly competitive DOST-JSPS PhD Dissertation Fellowship at Kochi University, Japan to pursue a PhD course in resource and environmental economics. He finished two master's degree (MS Ocean Science and Master in Public Administration) and completed full time academic units for a graduate course in Fisheries Technology at BU Graduate School. As a research and extension manager, he steered the research directions of Partido State University in the last 8 years as Research Director and Vice President for Research And Extension. He was responsible for the establishment of the Coastal and Wetland Resources Center for Research and Management, a BOR approved research center in PSU. He was responsible in having PSU a CHED-accredited refereed research journal. 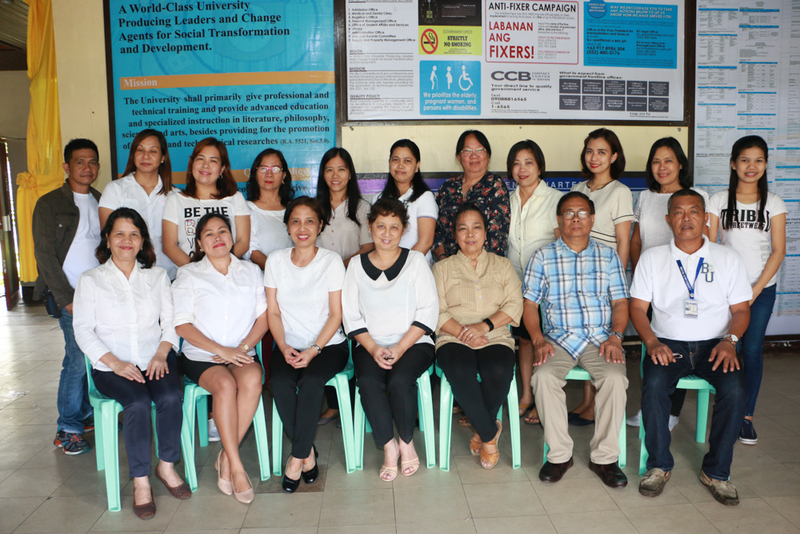 He forged enter-institutional research collaboration with various organizations such as UP Visayas, Worldfish, PCARRD, Bicol University, DA-BAR, DOST and conducted capacity development in RDE for faculty members. As a resource and environment economist expert, he was given recognition as expert in fisheries economics research by DOST-PCARRD. His services was recognized and sought by various organizations as consultant and project leader, as trainer-lecturer and as technical reviewer of technical papers and manuscripts in research fora and as plenary speaker in scientific symposia. These include his stints as trainer in regional TOT in ex-ante and ex-post impact evaluation of natural and aquatic resources research projects by BCARRD; as senior economist of a climate change in coastal communities study funded by Worldfish-DA BAR; as project leader of tourism master plan commissioned by Partido Development Administration and LGUs of Partido District; as panelist-reviewer in economics and resource governance researches of Bicol SUCs and research consortia research reviews and the BFAR-NFRDI project reviews; as plenary speaker in national scientific conference in fisheries by BFAR and NFRDI among others. As an outstanding teacher and researcher, he was adjudged 1997 Metro Bank Outstanding Teachers of the Philippines in Tech-Voc category as semi-finalist among the ten top nominees selected from a pool of 360 national nominees. He was also awarded Outstanding University Faculty member of Partido State University in 2006 and as Outstanding University researcher of the same institution in 2012 because of his commitment, strong advocacy and exemplary performance in pursuit of instructional competitiveness and research productivity in the academe. As a development and institutional planner, he conceptualized and authored the Partido Tourism Master Plan a research-based tourism blue print for the 10 LGUs of Partido District which adopted a multi-stakeholder tourism planning process, concept of poverty-reduction oriented tourism paradigm focusing on sustainable livelihood and rural enterprise, environmental protection through coastal resource management, sustainable financing through payment for environmental services -user fee scheme, participatory resource governance and economic valuation as input for project worth analysis. He also led the crafting of the 10 year comprehensive development plan of Partido State University. Both studies lasted one year in completion. He also gave his services to LGUs as technical expert in CRM planning and social development projects packaging. As an advocate for poverty alleviation of marginalized fishing and upland communities through grassroots participation in resource governance, biodiversity conservation, sustainable ecotourism and coastal resource management, he conceptualized and implemented for 4 consecutive years the PSU-Sangay LGU supported extension project in coastal resource management with focus on marine protected area as management tool. As project leader, he implemented integrated CRM interventions which include livelihood skills training, alternative livelihood promotion for fishers, participatory coastal resource management, academe-led participatory community CRM planning, law enforcement through strengthening and capacity development of Bantay Dagat members, generation of information to influence municipal ordinance that promote CRM; organization and institutionalization of Municipal CRM Board; marine conservation awareness –raising through IECs, cross visitations to successful MPAs among others. He has also worked as biodiversity threat reduction technical expert in Mt Isarog and generated information on the status biodiversity and conservation initiatives to influence policies and promote sustainable management of forest resources. He authored the design of a sustainable, socially, culturally and economically viable resettlement plan of non-tenured migrants in MT Isarog featuring respect for indigenous people, insights on the impact of economic dislocation, and reduction of anthropogenic pressur4es inside the protected area. He popularized key biodiversity and conservation information in the Mt Isarog area to educate stakeholders and strengthen their support for the integrated conservation development project (ICDP) in Mt Isarog. As a technical writer and book author and a scientific journal editor and reviewer of technical papers of varied fields, his works on economic valuation of Caramoan beachscapes has been published in Marine and Coastal ecosystem valuation and Policy in Southeast Asia published by Springer-EEPSEA Singapore; He has co-authored a chapter on the Necessity of Multilevel Governance for marine Protected Areas (MPAs): An Analysis from their Functions and the Cost of Commons with foreign social scientists appearing in the book, Rural and Urban Sustainability Governance published by United Nations University Press, Tokyo, The United Nations. He is the concurrent editor-in-chief of Bicol Science Journal, a CHED-accredited referred journal. His expertise was solicited by refereed scientific journals as reviewer such as the Ocean and Coastal Management Journal published by Elsevier. He authored a monograph on coastal valuation published by the Economy and Environment Program for Southeast Asia. Just this month, he freshly has released a technical coffee table book on the riverine ecosystems of Bicol Key Biodiversity Areas as sole author and funded by CHED-GIA. He also developed and published a manual on the species identification of freshwater shrimps for stock enhancement in riverine ecosystems of Bicol KBAs.